In the traditional Christmas festive legend, Father Christmas or Santa Claus’s eight reindeer pulled his sleigh through the night sky to help Santa Claus deliver presents to children everywhere on Christmas Eve. 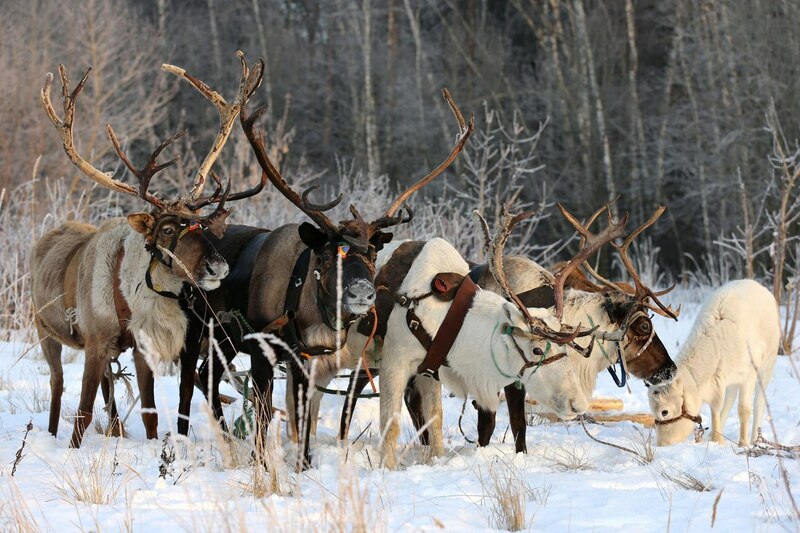 The commonly cited names of the eight reindeer are Dasher, Dancer, Prancer, Vixen, Comet, Cupid, Donner, and Blitzen. They are based on those used in the 1823 poem «A Visit from St. Nicholas» (commonly called «The Night Before Christmas»). Did you know that because of the popular Christmas song «Rudolph the Red-Nosed Reindeer» Rudolph is often added to the list, boosting the number of Santa Claus’s reindeer up to nine. 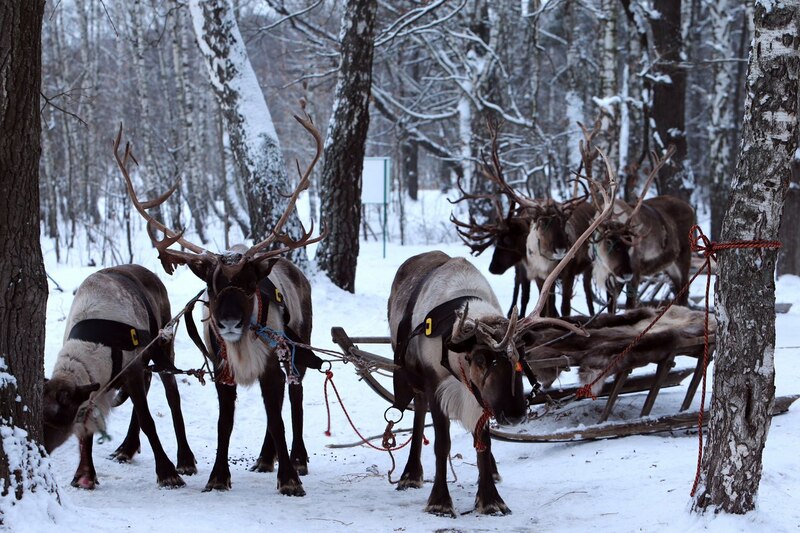 In the spirit of Father Christmas in Moscow, we will visit a reindeer farm situated close to the city. 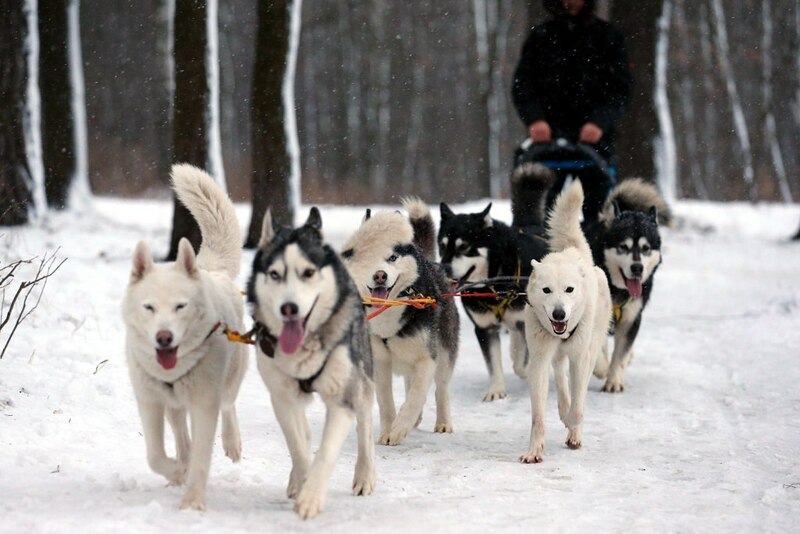 We will take our own magical ride on a reindeer drawn sleigh, pulled across the snow in almost silence. 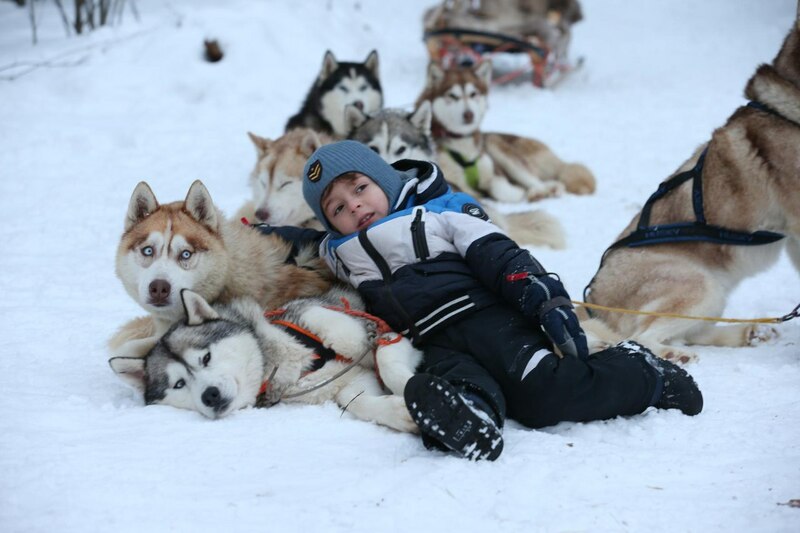 After the reindeer ride, we will swop onto 2-person dog sledges drawn by beautiful, friendly Huskies. 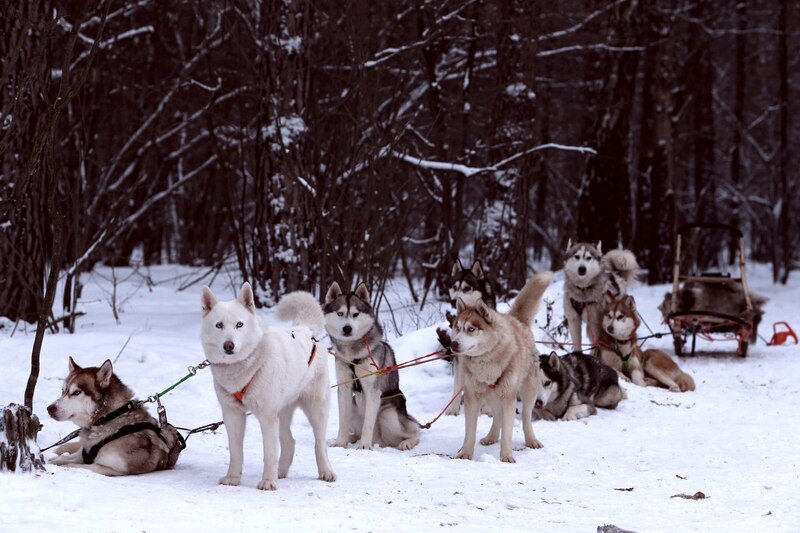 You feel like you are flying across the snow, hearing only the panting dogs and the soft padding of their paws through the snow. Combined length of the ride is about 4 km. We will also visit nomads tent yurt to learn how most small nations in the North of Russia live. 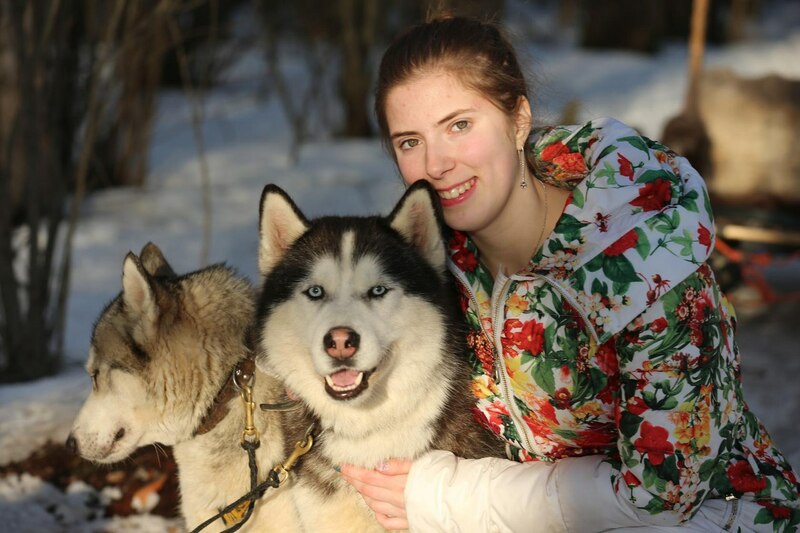 A knowledgeable guide will explain to us why huskies have blue eyes, when deer change horns and a lot of other interesting facts. We will drink a cup of warming tea with the guide. By the way, even Moscow zoo doesnt keep reindeer as they are difficult to look after and expensive to feed. They only eat reindeer moss that is specially brought for them from the Russian North. In the end, we will have a short tour of the farm to take more pictures with those beautiful good- natured animals, to make sure this visit stays in your memories. Glu-wine is available for the adults by the bonfire as we wait for those concluding their snow trek on the sledges.